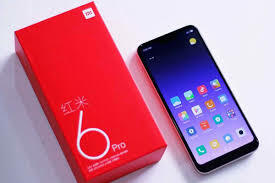 Home performance specs xiaomi Redmi Note 6 Pro The Redmi Note 6 Pro is Xiaomi's first Phone With Four Cameras. The Redmi Note 6 Pro is Xiaomi's first Phone With Four Cameras. This new phone has a notch and four cameras. There are two at the front and two at the back. Xiaomi has dominated the Indian market. Their phone Redmi 5A has been the best selling Android phone globally. Xiaomi has released 4 out of 5 of the best selling phones in India in 2018. The company won't stop in dominating the Indian market. Xiaomi's Redmi Note 5 Pro stood out from the rest. 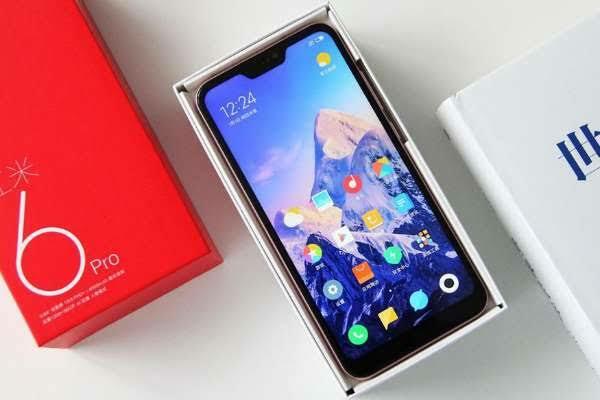 It was among the first phones to be powered by snapdragon 636. The camera department on this phone was among the best. After nine months Xiaomi is back with a new phone. Xiaomi have released their new phone the Redmi Note 6 Pro. This phone isn't as different as its predecessor. This new phone has a notch and four cameras. There are two at the front and two at the back. Here is everything that you should know about these new phone from Xiaomi. Xiaomi has had a major success in India because they have been able to release different devices that can cater for everyone. Their phones are market oriented. When it comes to budget phones Xiaomi has 10 different models. The differences between all these phones is minimal. Xiaomi's Redmi Note 5 Pro stood out from the rest. It's one of the best phones released in February. Xiaomi Redmi Note 6 Pro has a slight curve at the back that makes it really comfortable to hold this phone. The bezels at the bottom are trimmed down and there is a notch at the top. Redmi Note 6 Pro has a 6.26 inch display screen. When it comes to the hardware, there is no major changes from its predecessor. Redmi Note 6 Pro is powered by Qualcomm snapdragon 636. You can buy the 4GB RAM model or the 6GB RAM model. The performance on this phone is awesome. MIUI 10 is present on this phone. Redmi Note 6 Pro has a 4,000mAh battery capacity and there is room for a microSD card. There is an IR Balster at the top and there is also a headphone jack. There is also a P2i coating which improves the protection on this phone. The most. Interesting part about this phone is its camera. Redmi Note 6 has two cameras at the front. There is a 20 megapixel camera and then there is a 2 megapixel camera which adds depth to the pics. At the back there are two cameras. There is a primary 12 megapixel lens and there is also a 5 megapixel camera. The primary camera on this phone has a 1.4 micron pixels. The dual cameras at the back and at the front are making the potrait mode feature available on this phone. The Potrait mode on this phone took awesome pics that are better than that of Redmi Note 5 Pro. Xiaomi is still using a MicroUSB as its charging port. The design on this phone is almost the same as that on Redmi Note 5 Pro. The overall feeling of this phone is just the same as that on Redmi Note 5 pro. Xiaomi Redmi Note 6 pro comes with Android 8.1 Oreo. There is no word on when Redmi Note 6 Pro will update to Android 9.0. The operating system on this phone is smooth but an update will be better. Xiaomi didn't really specify how much it will cost to buy this phone in India. I'm guessing the price will be roughly around $210. If this will be the price then this phone will dominate the Indian market till 2019. Xiaomi is doing what other manufacturers are doing. They are releasing new phones when there is any new upgrade. If you have a Redmi Note 5 Pro there is no need to upgrade to a Redmi Note 6 Pro. If you have the older versions then it's better if you upgrade. There are a lot of budget phones in the market. You are spoilt for choices. 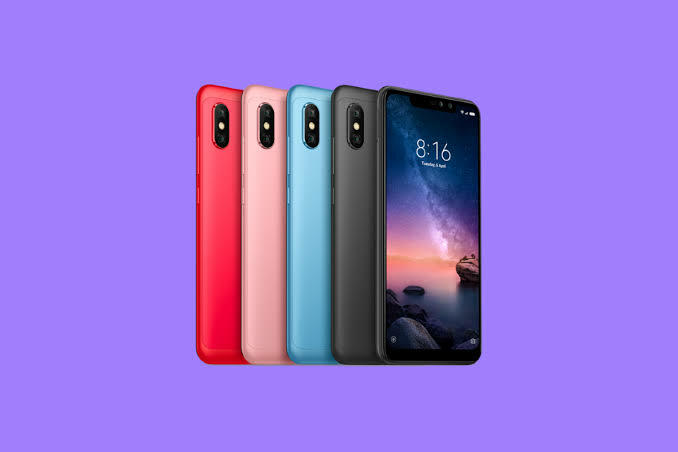 If you don't want to buy Redmi Note 6 Pro you can get the Mi A2 or you can buy Nokia 6.1 Plus there is also POCO F1 which is on a league of its own. Its performance is among the best. At the end of the day Xiaomi is still dominating the Indian market. Xiaomi for the last 5 quarters has been the leading smartphone manufacturer in India and that status won't change anytime soon. It has no competitor in India. Other brands are struggling to penetrate the Indian market. Xiaomi Redmi Note 6 Pro is a solid phone. Its design and performance is unmatched to any other phone in the Indian market. Stay tuned for more information about this phone.